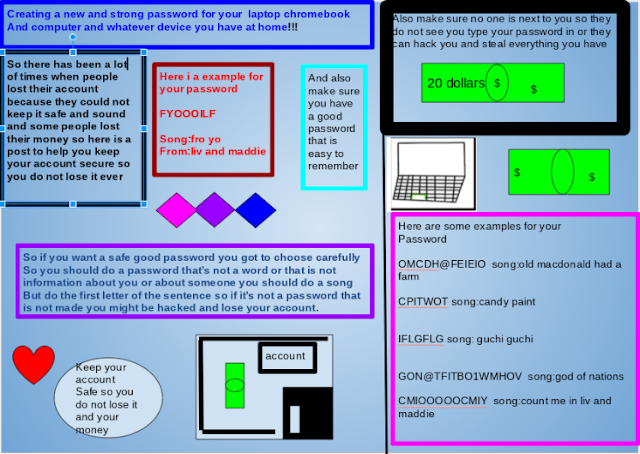 Today we have been learning how to create a secure, safe, strong password for our devices and if you need a strong new password for your device here is a post to help you and to help you secure your account. We have been learning about being Cybersmart and creating strong and secure passwords. 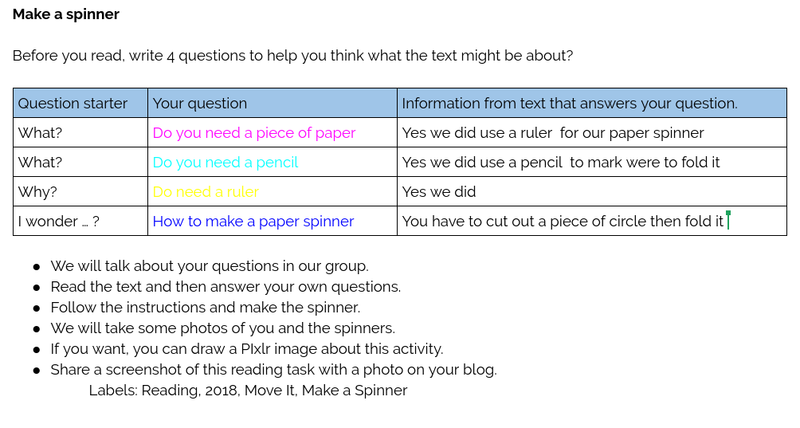 We made up a role play in groups to help us and others think about what doing the right thing looks like. Mr Jacobsen set up his block and tackle pulley system especially for Room 11 on Friday afternoon so we could see how simple machines can help us move things. After watching a video and checking out some pulleys in class, it was so much more fun trying to lift a crate of heavy bricks outside in the real world! 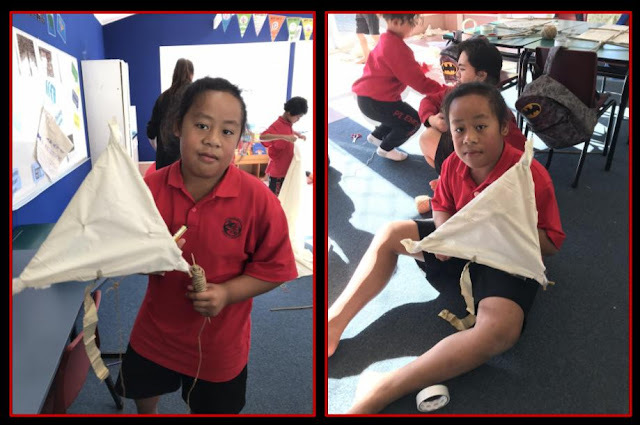 It took the effort and energy of three people to lift the load using a rope but everyone could lift the crate on their own with the help of the block and tackle. 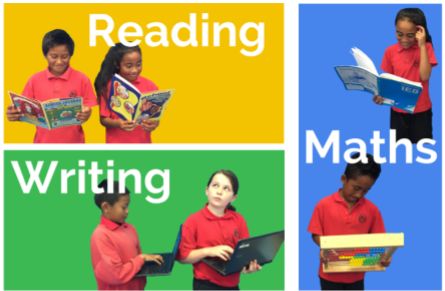 Thank you so much, Mr J, for sharing this technology with us. We are learning about air and we found out that there is air in an empty bottle when we blew a balloon. 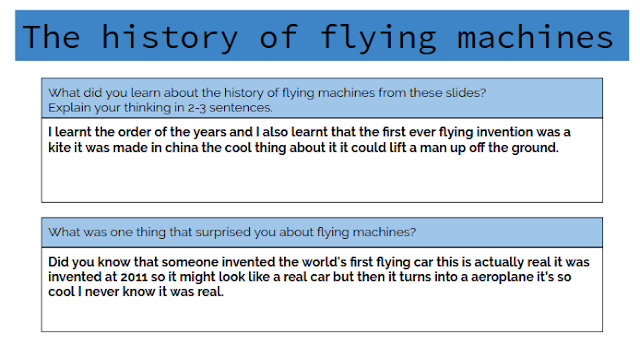 What did we learn about air from our experiment with balloons and bottles? Well, the bottles looked empty but we learnt that the empty bottles were actually full of air. Last week we began to explore how things move using marbles. 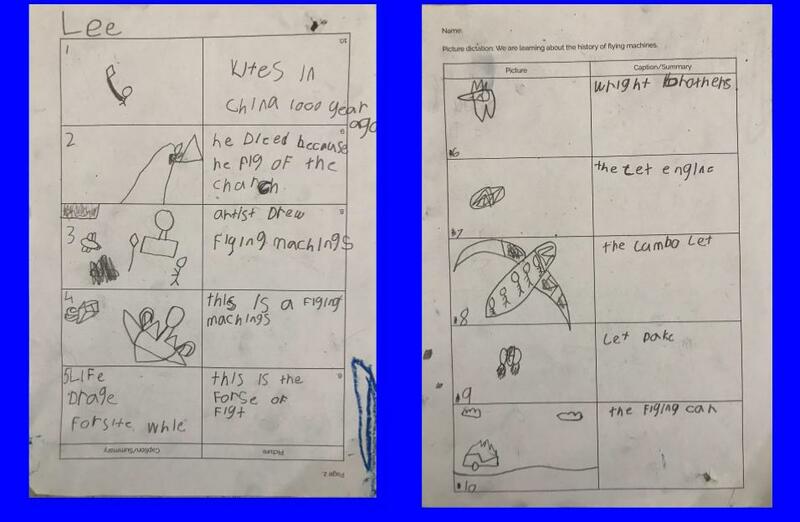 Here is Connor's slideshow sharing what he saw in the video and what happened with the marbles. Just keep swimming! Just keep swimming! 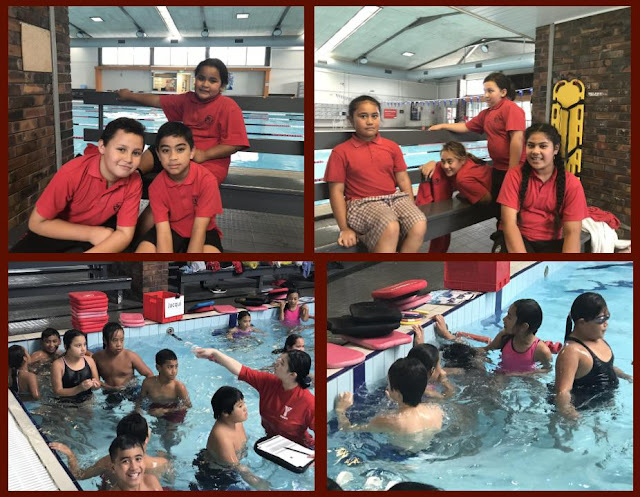 Team 4 has begun their swimming programme at the GI pools this term. 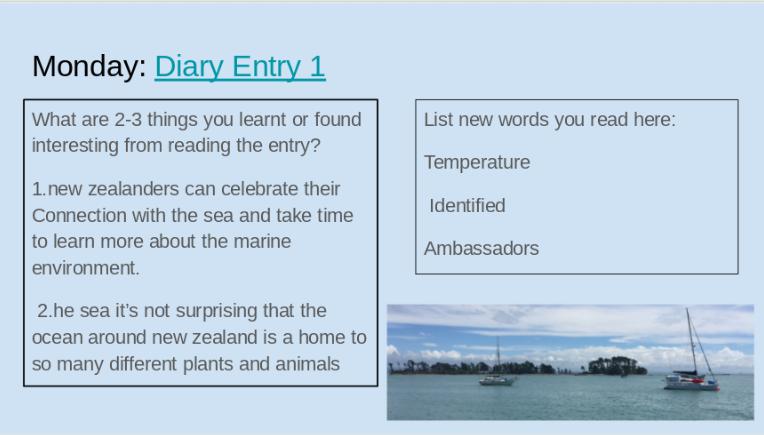 Check out what Room 11 has been learning about with their instructors in our PENN movie for Term 2! Tread Lightly is an awesome organisation that visits Auckland schools to help 8-12 year old children learn more about looking after our planet by making sustainable choices. Dominique from Tread Lightly visited Pt England yesterday to explain why we need to start recycling soft plastics. These are the plastics we can scrunch up in our hands, like plastic bags, chip packets and plastic wrap. Donte and Jermaine stepped into the limelight to help Dominique share her message with everyone in Team 4 yesterday. They played their roles with so much style and enthusiasm. It was wonderful to watch. New recycling bins have just been delivered to Pt England. 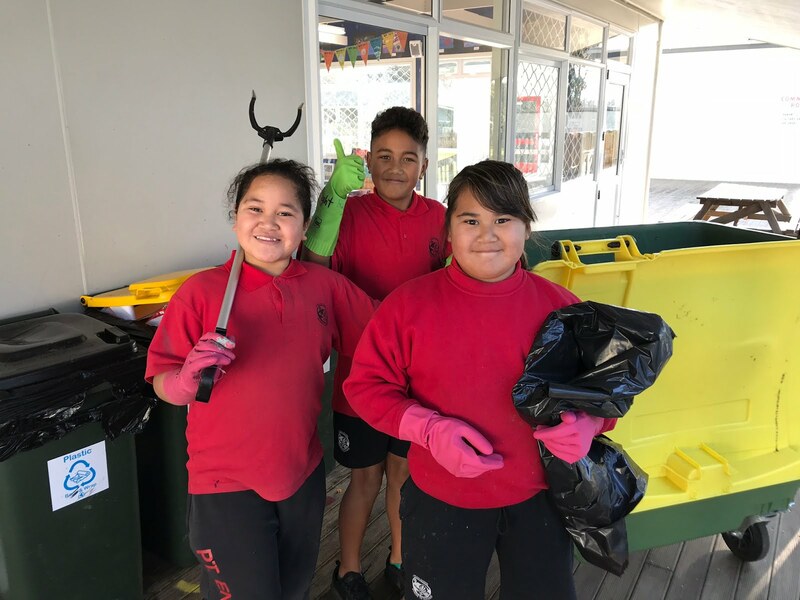 Donte and Jermaine have also volunteered to be Room 11's Bincurity monitors to make sure that we chuck our rubbish in the right bin. 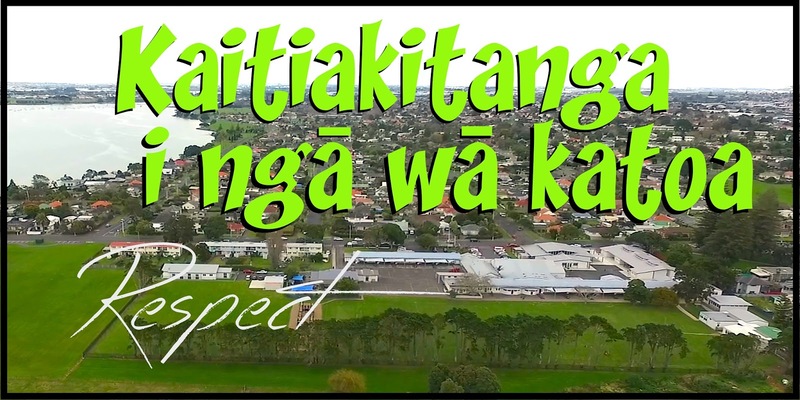 Ka mau te wehi! What do we need to do? Chuck it in the right bin! I created patterns using different things in the classroom. Ball firmly against our side. I wonder what we will learn about next week? This week I've been working on my What's my number because it has helped me with place value. The force has been strong in Room 11 ... we have been on the move a lot this week! 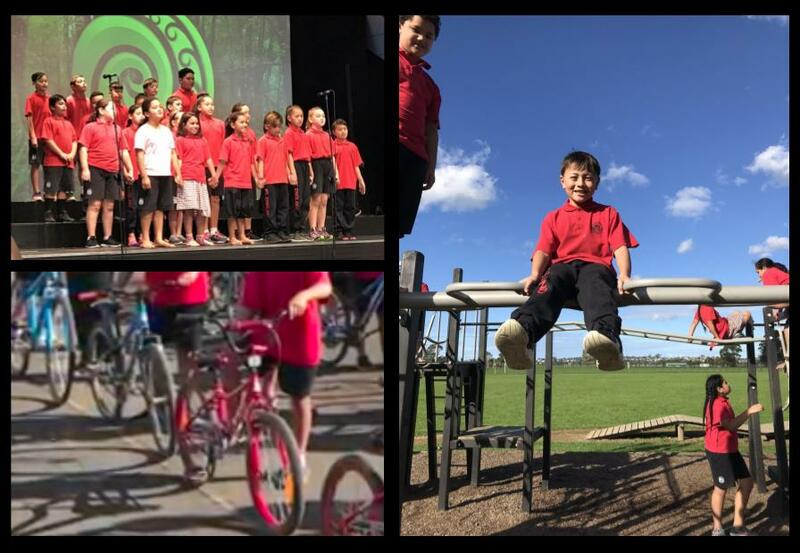 As well as enjoying moving it through the water at swimming, we have had a very busy and exciting week moving it at the park after swimming, moving it at assembly when we all performed our Fiafia items for the rest of the school, and moving it around the bike track this afternoon. The wheels were in motion at the end of our week in motion. We were off to the pools today for our first swimming session. After sorting out the groups, it was time to move it, move it through the water! Thanks to everyone who remembered their togs! What a fabulous assembly to begin Term 2 today! 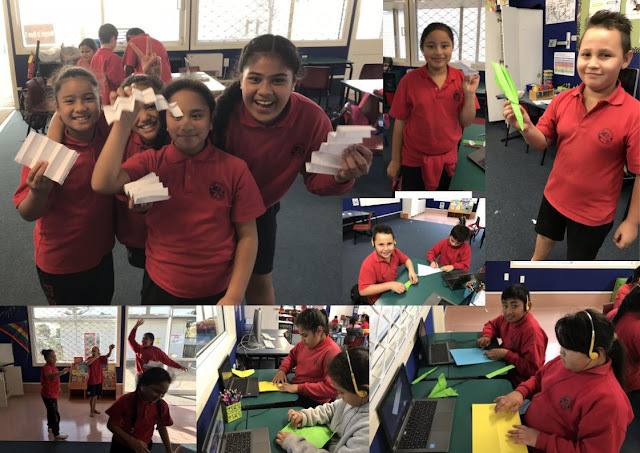 It was amazing to watch the different items to find out how each team will be learning about forces and motion this term. 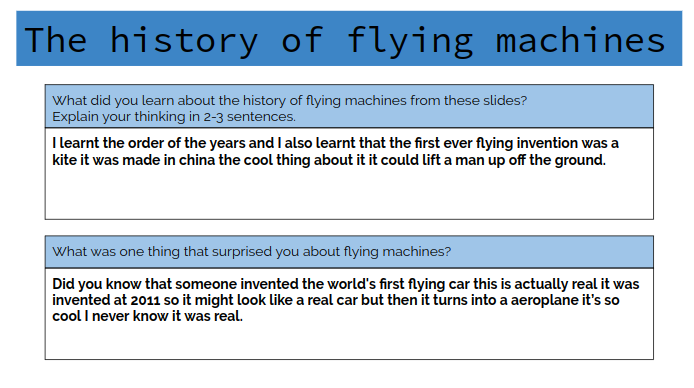 In Team 4 we will be learning about the forces of flight - how things move and fly through the air. 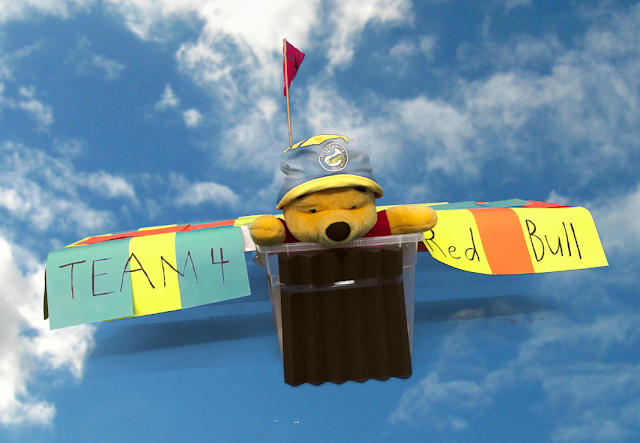 After our homemade aeroplane crashed off the stage, we sure have a lot to learn! 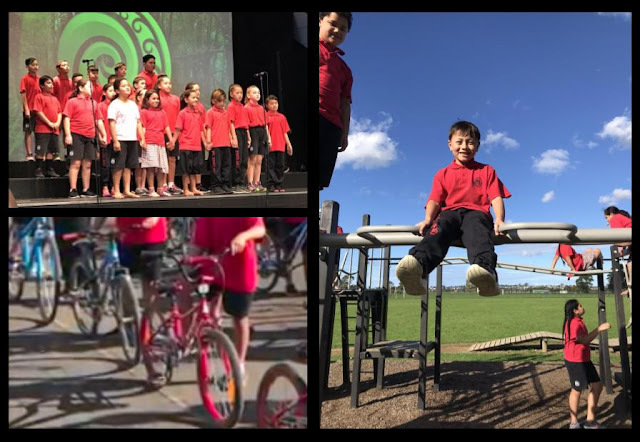 Despite the challenge of cold and somewhat wet weather for all the performers and the audience, we enjoyed a wonderful evening of singing and dancing at Fiafia 2018 last night. 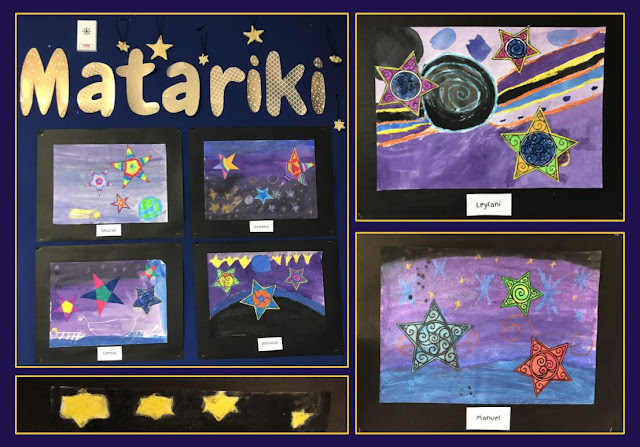 After practising throughout Term 1, all of our tamariki were finally able to share their amazing talent with whānau and friends. 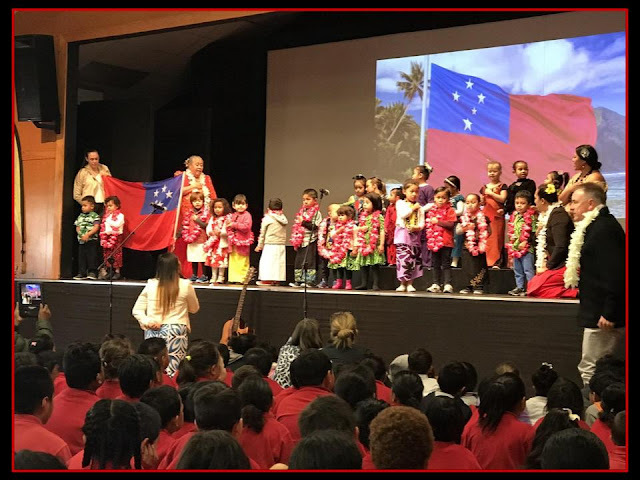 Teingoa was the only Fijian warrior from Room 11 and he did a marvellous job of showcasing traditional Fijian meke on the big stage in front of such a large crowd. Bula! Fiafia ... it's finally here! We have been practising for our Fiafia items with our different groups this term and today is the day that we finally get to perform on the stage. We have been making cards to thank our coaches for the time and effort they have put into making our dances look amazing. This is my animation about respect and this animation shows me picking up rubbish outside. Brendon and Lee created a rocket ship for their heroes so that they can get away from the bad guys who are chasing after them. They enjoyed making things with the Lego after they had finished their work. Every weekend there was one job Hemi hated doing: mowing the lawns, He’d much rather be building his latest robot invention in the shed. That was it! What if Hemi could build a robot to mow the lawns? Hemi dad told hemi that the lawns had to be mowed this weekend and his big sister told him to do it but he said no. So Hemi had stayed up all night looking for some tools to make a robot so that hemi doesn't need to mow the lawns. Once Hemi had finished the robot he took the robot out of the shed and made it work and the robot had started to work and then it had mowed the lawn and hemi fell asleep and while the robot was finished mowing the lawn hemi woke up and the robot was gone. Hemi was so scared that the robot might of going somewhere far away from the house so hemi was so furious so hemi had done the biggest scream so his sister came out of the house and “said why did you scream” and he said nothing so he was so quiet so is dad came out with a suitcase with something inside. So Hemi asked his dad what is inside the suitcase but the dad had annoyed hemi. So the sister was laughing at Hemi then Hemi started crying and he told the sister that he didn’t like it. So he told the mum so hemi told the mum if she had seen a robot and the mum said yes and it just went past. So Hemi was following the track where the robot was going so he found it and the lawns was still not finished because he had forgotten the backyard so hemi was angry and so when it got to saturday Hemi dad ask if he had finish mowing the lawns. 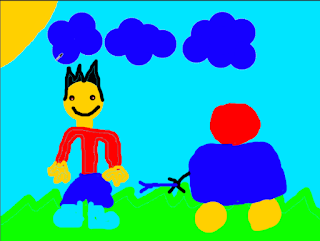 So hemi was trying not to lie but he said yes so hemi dad went to the backyard and when hemi dad was so angry because hemi dad needed the lawns to be short because hemi dad family is going to have a party. So Hemi was angry that he didn’t find the robot but when he got in his mum and dad room the robot was on the bed sitting down. So hemi was so so so proud that he had found the robot and then hemi took it outside and pressed the button so that it can mow the lawns and once it was finished the backyard the dad came out of the house to see if the backyard lawn was mowed. 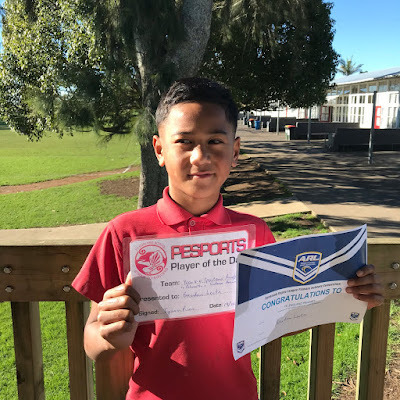 Next hemi dad paid him 200 dollars because hemi really wanted to get a playstation but it cost 200 dollars so hemi had gone to buy it…..
We had fun learning how to play French cricket with our Maths groups yesterday afternoon. As well as learning a new game, we were learning to work together when we were fielding to try to get the batsman out! Three musicians from the Auckland Philharmonia Orchestra brought their instruments and enthusiasm for music to Team 4 yesterday afternoon to play a selection of music from around the world. The trio played Irish and gypsy dance music as well as some classical music from Germany. Greg sang, played the guitar and the flute while Paul played the cello. Yulia, who comes from Russia originally, played the violin. Some of the music was so relaxing that it made us feel sleepy while the energy of the dance music made us want us to tap and clap along. 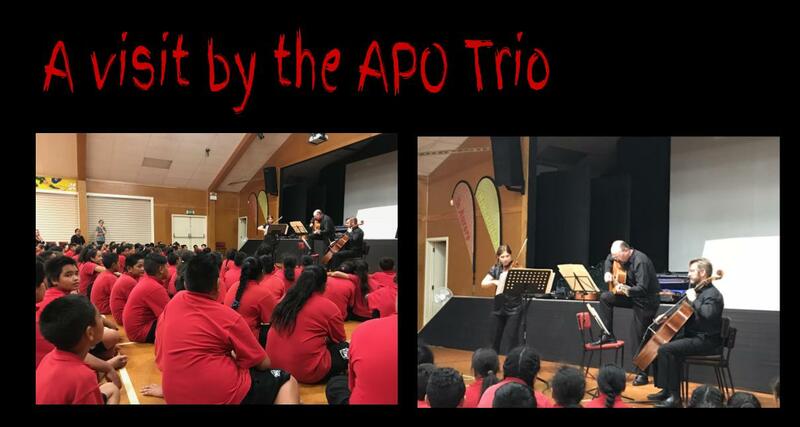 Many thanks to the Auckland Philharmonia Orchestra and their sponsors for arranging this fantastic visit. Hi I am back and I wanted to post this activity because I want to share what I learnt about by reading. It was finally time to play the full game of Kī o Rahi yesterday after learning and practising different parts of the game with our Kiwisport coaches, Alan and Puti, throughout the term. 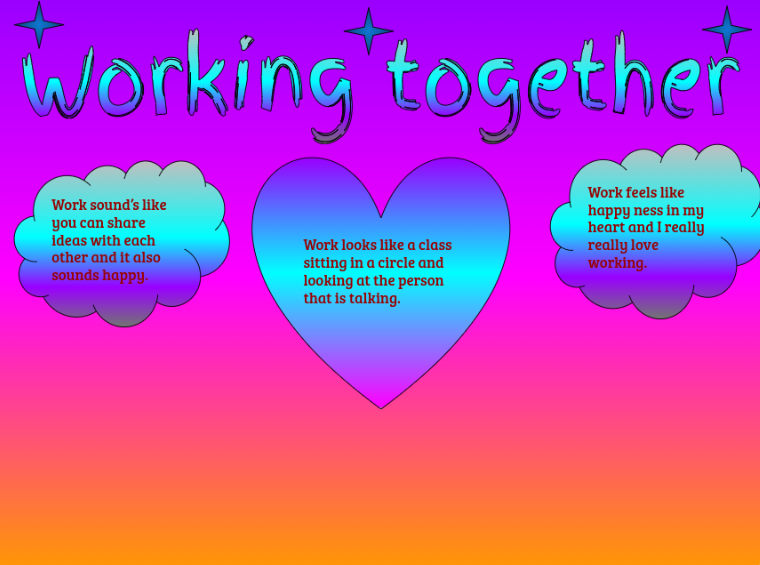 It was so much fun putting all the elements together as we worked together in our teams. 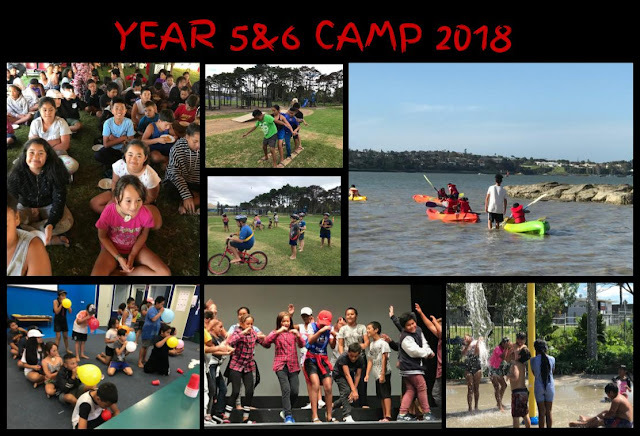 We all had a chance to be both taniwha and kīoma. What an amazing opportunity! 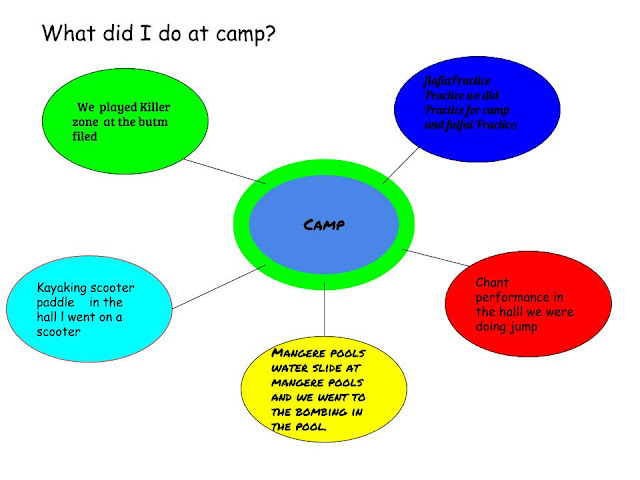 At camp we went to the hall and ride scooters and play basketball it was so fun we went to killer zone it was fun we had a boot to and we had to throw the boot into the black mat did we run to our flag and put it up and we won then we went to the beach for kayaking l went to the green point it was so cool. Last week it was time for Point England School's 28th Annual Year 5&6 camp. The event really can be called a camp as our accommodation was a tent city on the school field! 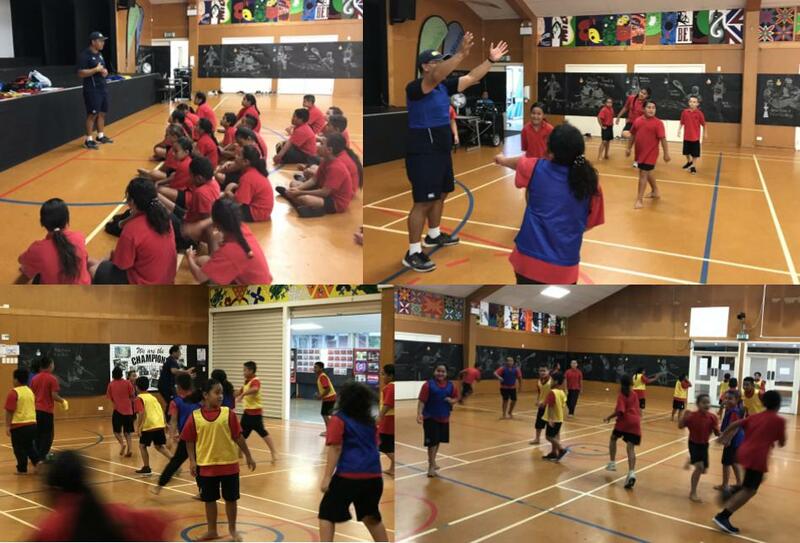 During the day we took part in all sorts of amazing activities, experiencing new things and making new friends. Such fun! 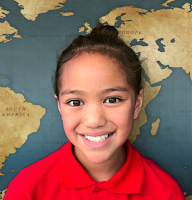 We are so proud to be aboard our class waka as we are embarking on our learning journey together this year. We are all in the same boat, learning to work together and paddle in the same direction to achieve our goals. He waka eke noa!